Science Samhita features more than 40 articles related to Health, Environment, Biology and other science subjects. Visitors can read these articles to gain knowledge and feed their curiosity. We post articles daily or on weekly basis (depending on the availability). Our authors select articles from various relevant book or web sources. Links to these sources and relevant journal or book citations are included at the end of each post. What does the word “Samhita” means? You must be wondering that why we used this word “Science Samhita”. The word “Samhita” is a Sanskrit word, which means “any methodically arranged collection of texts or verses”. Thus, the word “Science Samhita” represents the collection of texts and articles related to different science subjects that are posted on this website. Answers to various strange and interesting Science Questions such as “Why nature preferred DNA over RNA?”. Information for generating Public Awareness in the form of interactive articles related to Health, Environment, Biology, and various natural phenomena. Some essay like Articles related to general Science topics. 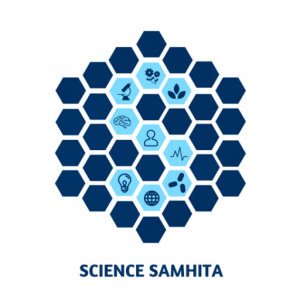 What is the purpose of “Science Samhita”? We are aiming at putting together the information of every single topic or subject related to science. So, that each article would clearly represent the logic and the concept behind particular topic or subject. Finally, we hope that every single article posted on our site will feed your curiosity and help you in gaining knowledge in an easy way. If you have any query and suggestions related to the website then you can email us @ admin@sciencesamhita.com. If you would have any questions or submissions related to science topics then email us @ contact@sciencesamhita.com. Where to find us on the Internet? If we are not here then you can find us on our social media pages.